April 17, 2009 -- The KASU’s Conductors' Club event this spring will be unlike any other. KASU radio program host and star Sonny Burgess, along with the Legendary Pacers, will be performing on Friday, April 24, at 6:30-10 p.m. at Atkins Celebration Hall, 101 South Pruett Street, in Paragould. Enjoy an evening with the rockabilly sound that Sonny Burgess and the Legendary Pacers are known for. For 55 years, rock'n'roll has been thriving, and so has Sonny Burgess and his band, the Legendary Pacers. Sonny Burgess has been a part of making music history for half a century. In 1950, Albert Austin “Sonny” Burgess formed a boogie-woogie band with three of his friends, Kern Kennedy, Johnny Ray Hubbard, and Gerald Jackson. The group of friends called themselves the Rocky Road Ramblers. In 1954, he renamed the band the Moonlighters, in honor of the Silver Moon Club in Newport.The Moonlighters performed regularly at the Silver Moon Club, as did many up-and-coming stars of the period, like Elvis Presley, Carl Perkins, and Jerry Lee Lewis. Elvis Presley liked the sound of the Moonlighters (who opened for him four times) so much that he suggested to Sonny that the group should go to Sun Records in Memphis and talk to Sam Phillips. The eager band decided to follow the advice of Presley and went to Memphis. Sam Phillips told Burgess and his group to form a larger band then come back, and the Pacers were born. The extended group consisted of Sonny Burgess on guitar and vocals, along with two friends from the original boogie-woogie band, Kennedy on piano, and Hubbard on upright bass, and new members Russ Smith on drums, Joe Lewis on guitar, and Jack Nance playing the trumpet. When Burgess and the Pacers returned to Memphis, they recorded “Red-Headed Woman” and on the flip side, “We Wanna Boogie,” both written by Burgess. After the record’s release in 1956, it sold approximately 100,000 copies, which propelled Sonny Burgess and the Pacers on their way to stardom. Burgess and the Pacers continued recording with Sun Records until 1959, producing five singles. In addition to the original record, they recorded “Thunderbird,” “Ain’t Got a Thing,” My Bucket’s Got a Hole in It,” and “Sadie’s Back in Town.” As popular as their recordings were, their live shows were perhaps even more loved. The group’s high energy, extreme dancing, human pyramid, and the “Bug Dance,” in which they jumped into the audience while performing, became celebrated world-wide. In 1960, Burgess left the band and began working with Conway Twitty for approximately five years. After that, Burgess formed another band, the King’s Four. For the next twenty years or so, Burgess continued playing music on the side and working as a salesman until the mid 1980s, when he began traveling in Europe and showcasing the old sounds for new audiences. In 1998, the Smithsonian Institute made a video called “Rockin’ on the River” that brought Sonny Burgess and the Legendary Pacers together again. In 1999, Burgess was honored by being inducted into the Rock and Roll Hall of Fame of Europe. 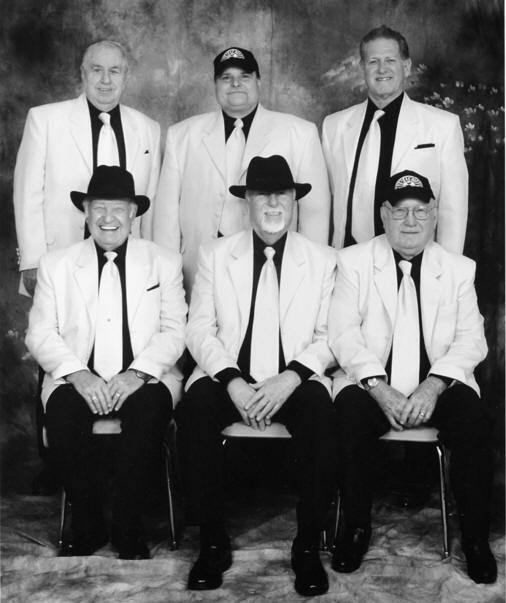 In 2002, the group was inducted into the Rockabilly Hall of Fame in Jackson, Tenn. They still continue to rock'n’ roll today, with upcoming events planned at the Isle of Capri Casino on Friday and Saturday, May 8 and 9, in Lula, Miss., and an appearance at the Osceola Heritage Festival on Saturday, May 23 in Osceola. Burgess grew up and continues to live in Newport, and currently hosts a radio show, "We Wanna Boogie," on KASU in Jonesboro. "We Wanna Boogie" is a fresh, surprising program that consistently delights its listeners. Joining Sonny Burgess on the program is producer and audio engineer June Taylor, a long-time KASU staff member. Although Taylor has worked behind the scenes for many years, she has become well-known to listeners because of her on-air interaction with Burgess. The two present their two-hour weekly program, airing on Sundays from 5 p.m.- 7 p.m. "We Wanna Boogie" has become one of the most recognized and highly favored progams on KASU, receiving e-mail from listeners from all over the world. "We Wanna Boogie" has been on-air at KASU since 2006 and has continually increased in popularity. The music on "We Wanna Boogie" ranges from Roy Rogers to Carl Perkins, from Conway Twitty to the Mamma and Papas, and covers all genres in between. The wildly eclectic music, the commentary, showmanship, and and a lot of fun from the hosts all add up to a dynamic two hours of radio. The KASU Conductors' Club spring event invites listeners to see Burgess and the Legendary Pacers in a live, energetic, and highly entertaining performance, and to support KASU. Conductors' Club members (those whose annual gift to KASU is $240 or more) will receive two complimentary tickets, and for the first time, KASU will be making a limited number of tickets available for the dinner/dance event at $25 each. For more information, to reserve your Conductors' Club tickets, or to purchase tickets, contact Todd Rutledge, KASU's director of development, at (870) 972-2807 or e-mail trutledge@astate.edu.